Tonight we experience a demonstrative lecture on Cuban Music by Professor Alberto Faya at Bar Asturias. Alberto Faya is a singer, guitarist, and composer for Cuban and international TV and radio. He gives us an overview of the influences that make up Cuban music, with the assistance of a jazz trio. Dinner follows at La Terraza just upstairs of Bar Asturias before we return to our hotel for the night. We start our day with a visit to the Museum of Revolution, then on to the Museum of Cuban Art with art historian Nelson Herrera. The museum is dedicated exclusively to Cuban Art from the earliest days of colonialism to the latest generation of Cuban artists. Lunch follows at Ivan Justo, before we enjoy a walking tour of Centro Havana, seeing Havana’s Central Park and the first monument erected in Cuba (1904), dedicated to National Hero Jose Marti. We then see the Centro Gallego, built in 1915 by Belgium architect Paul Belau, today the Great Theatre of Havana, which includes the Garcia Lorca Theatre among other rooms. On to the Capitolio Nacional, a fabulous monumental building inspired in the Capitol model and built in 1929 by Cuban and foreign artists. Gardens designed by famous French landscaper Jean Claude Nicolas Forestier, Centro Asturiano were built in 1927 and currently house the Universal Art Collection of National Museum of Fine Arts. From here we walk to the Bacardi Building, erected in 1930 and remaining today one of the most fabulous examples of art deco in Cuba, then to the Sevilla Hotel, remodeled in 1923 by the American firm of Schultze & Weaver, and the recently restored lavish Palacio de los Matrimonios, the former Casino Espanol of Havana, built in 1914 by Luis Dediot. Finally, we walk along the Paseo de Marti (Paseo del Prado), a tree lined pedestrian promenade leading to the sea and also designed by Forestier. We return to the hotel to relax before dinner at Rio Mar. Today we get to enjoy the Havana Art Biennial which is recognized among the most prestigious events of Latin America, the Caribbean, and the world, has made visible not only Cuban thought and artistic practice, but artistic creation contemporary of the Southern Hemisphere and other regions of the world. We then head to the Christopher Colon Cemetery, an elaborate necropolis covering nearly 8% of the city before we have a driving tour of modern architecture of the Vedado neighborhood. Few people realize the important place Havana holds as a treasure trove of 20th Century architecture. 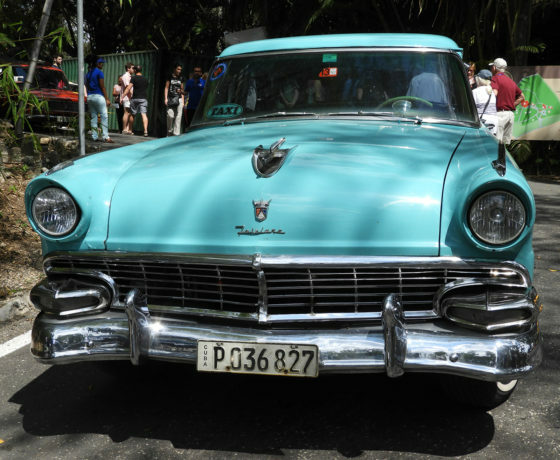 Stops will include: Habana Libre Hotel, Riviera Hotel, Pabellón Cuba, Yara Theater, and Casa de la Amistad (Pedro Baro and Catalina Lasa’s former house). Lunch is at La Guarida, then we visit the iconic Hotel Nacional, overlooking the Straits of Florida. Hotel Nacional is a historic landmark located on the Malecón. When it opened in 1930, Cuba was a prime travel destination for Americans. This afternoon, we drive by the Plaza de la Revolución, the center of government also commonly used for massive rallies. From here we stop at the home and ceramic workshop of artist Jose Fuster, who has decorated many residences with whimsical domes and murals, transforming his fishing village of Jaimanitas into a vast work of art. Return to the hotel and enjoy the remainder of the evening and dinner on our own. This morning we spend more time at the Havana Art Biennial. Next we leave the city of Havana to drive to the home of Ernest Hemingway, known as Finca La Vigía, now preserved as a museum. The house is exactly as Hemingway left it just prior to the Revolution. Visitors are able to walk around the house and view the interior through the windows. After, we drive by the seaside village of Cojímar, where Hemingway took inspiration for his acclaimed “Old Man and the Sea” before stopping for lunch at paladar El Ajíaco. In the afternoon we stop at the home of art collector, Milagros Borges. Learn about how Cuban artists express themselves and art’s place in Cuban society. Artwork by local artists such as Sagols, Darwin Estacio, Karlos Pérez and Niels Reyes, available for purchase. Later afternoon we return to the hotel. For those who are interested, there is an optional stop at the Arts and Crafts Market. Tonight we have our Farewell dinner at Los Naranjos, located in an elegant mansion once flanked by Cuban aristocracy. After, there is an optional visit to the newest contemporary art space in Havana, Fabrica de Arte Cubano (FAC), featuring changing art exhibitions and cultural events. Today we check out of the hotel and head back to the airport for our return flight home. One group transfer or independent departure from Jose Marti International Airport (HAV). Plan on arriving at the airport 2 hours prior to departure time. 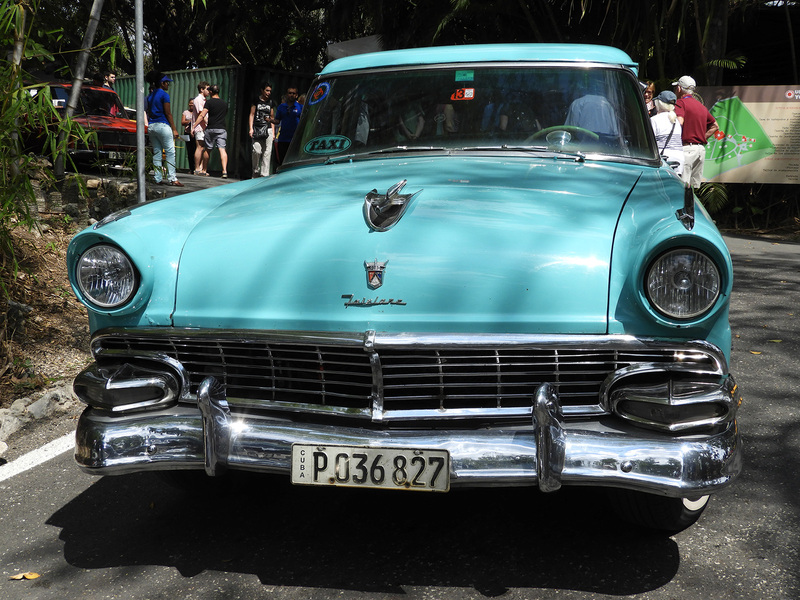 Free morning to explore Havana for those with afternoon flights. One group transfer from and to the airport. Those not on the group transfer are responsible to get to and from the airport. Taxi’s are easily available at the airport. Call 802-479-7040 for more information.